The Roman god Janus is the god of beginnings and transitions. It is generally thought that January is named for Janus, an animistic spirit who inhabited doorways (januae) and archways (jani). This fits, since January is the door to the new year. But this wasn’t always the case. 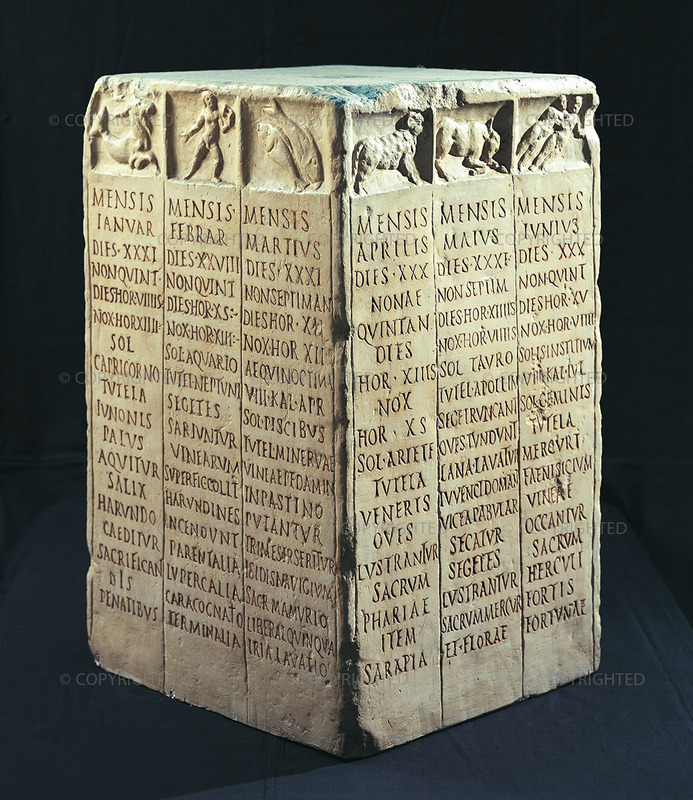 Originally the Roman calendar only had ten months and 304 days. The first month was March, which those marching Romans named after the god of war, Mars, who also happened to be the god of agriculture. The depths of Roman winter were simply a “month-less period.” Roman writers differ as to when, and under which ruler, January and February were added, and when January became the first month. The names of the other months are interesting too. February is named after the purification ritual Februa held on February 15 (full moon) in the old lunar Roman calendar. April is thought to derive from the verb aperire, “to open”, because this month buds begin to do just that. May and June are probably named after the goddesses Maia and Juno, respectively. July and August were named after divine emperors Julius and Augustus Caesar, though at first those months were just numbers as well: July was Quintillis, the fifth month, and August was Sextilus, the sixth month. You can see the remnant of that ten month year in the (now inappropriate) numerical names of the month: September (seven), October (eight), November (nine), December, (ten). Did the Romans just get tired of naming months halfway through the year, then? To the contrary. Once the Caesars began, months were named and renamed after emperors right and left. In AD 37, Caligula renamed September “Germanicus” after his father; the month reverted to its numerical name after his death. In AD 65, Nero renamed April “Neroneus”, May “Claudius” and June “Germanicus,” but again, the names didn’t stick. In AD 84 Domitian renamed September “Germanicus” and October “Domitianus”. Poor Germanicus, like the Roman army, was perpetually redeployed. Rome was full of ceremonial gateways, or jani. The Janus Gate. One of the beautiful quilts of Swan Sheridan. These were generally freestanding structures, used to ensure a symbolically auspicious entrance or exit – though as superstition would have it, you could get this wrong. There were lucky and unlucky ways to march through a janus. The shrine of Janus at the north side of the Forum, the Janus Geminus (twin Janus), was the most famous of these. The doors were left open in time of war, and kept closed in times of peace. During the long period between Numa Pompilus (7th century BC) and Augustus (1st century BC), those doors were only closed twice. War was what Rome did. The video is also very specifically dated around the 2012 Mayan doomsday calendar predictions. (Remember those?) There are surprising a number of videos about Janus and January on YouTube, but this is one of the few I could find that was not a Jehovah’s Witness expose of the trick pagans played on us with their calendar. Seriously. I had no idea this was such a big debate. There seem to be many different legends about the history of Janus. One has him the son of Uranus and Hecate. Another has the Tiber named after his son Tiberinus, who accidentally drowned there. Yet another legend has him a son of Apollo and the first king of Latium. His colony near the Tiber is supposed to have given the name to the Janiculum Hill. 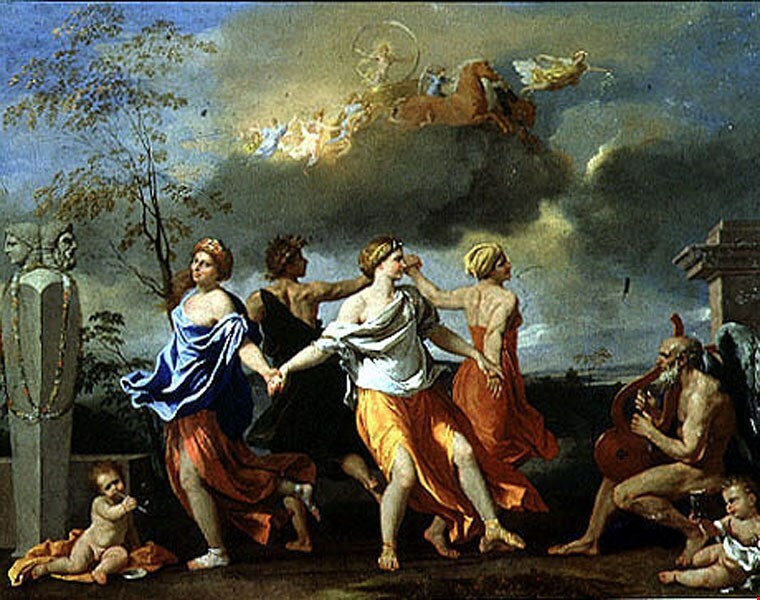 Still another story says that Janus welcomed Saturn to earth after the latter was driven out of Olympia by Zeus. There is also a theory that the cult of Janus was brought to Latium by sailors, and indeed Janus is often associated with ships. 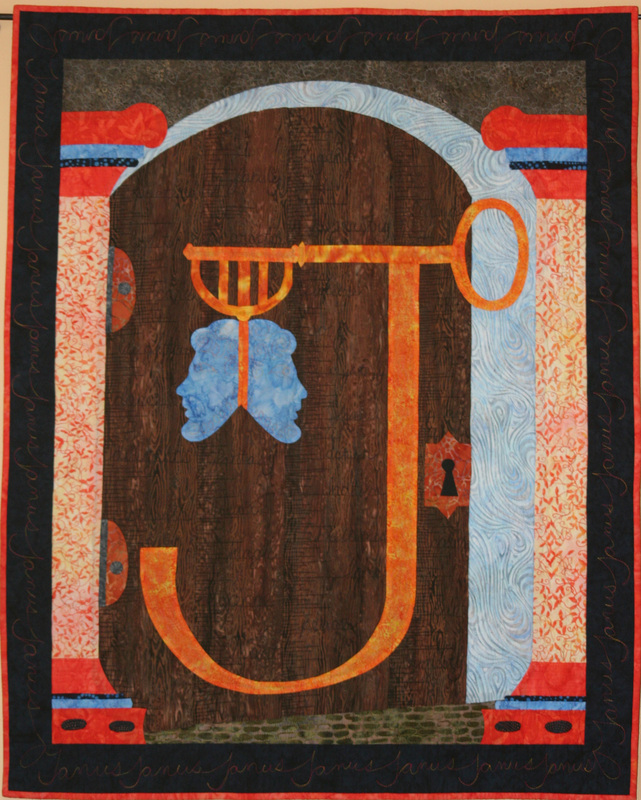 Janus was the gatekeeper; his symbols were a porter’s staff or virga and a set of keys. To illustrate his importance, his name was even mentioned before Jupiter in prayers. Although the first day of each month was considered sacred to him, January 9 was the Agonalia, his particular festival. He protected the start of all activities. He inaugurated the seasons. This will be a year of both beginnings and transitions for me. 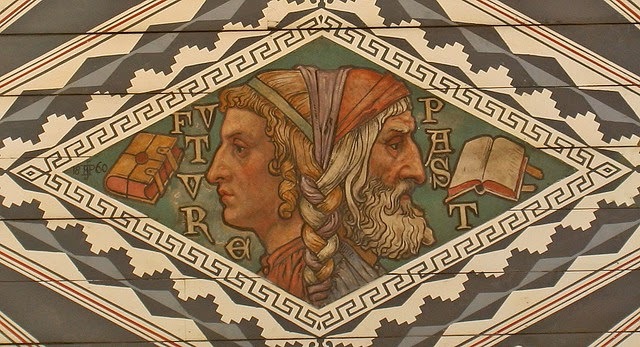 I am grateful for two-faced Janus, gleaning wisdom from the past, but looking toward the future: an essential perspective as I reviewed the resolutions I made last year, and plan for the posts to come. What new beginnings or transitions do you face this year? Where, and with whom, will you work out their meaning? I always thought the month of Jan was named after me! A very interesting glimpse of how months came to be named. Love the painting. Only if you have another head on the back of that profile pic. ;-) Thanks, Jan. I took four years of Latin in high school. Can’t remember the vocabulary, but still love the Greek/Roman myths, even though I’ve forgotten some of those details, too. I found this fascinating. Janus is a perfect symbol of January. Lol. We spent a year, translating The Odyssey and the next year on The Aeneid. Odysseus was fun. Aeneus made my teeth hurt. Thank you. I loved reading this. I hadn’t remembered Mars was an agricultural god on top of being a warrior. That woke me up and I googled to find that he was considered guardian of the crops. Important job when the hungry enemy troops invade. Now that I’ve read your post, I’m grateful not to be born in the month of Germanicus. We can see the Roman Empire on its way out with Commodus. If (Lady and Lord, help us) Trump were to be president, all the airports in the US would be named for him as well as places and landmarks. And his face would go up on Mt. Rushmore first thing. I can see the two directions of Janus in my world–one face toward growing light and the other toward growing cold. Winter finally arrived. I imagine the plant world is glad to feel less confused. Here in Minnesota, the plant world is currently feeling nothing at all. It does mean that Romans were advanced orforward in religious beliefs,socio-cultural factors and knowledge about time etc.Besides,what is more ancient than Romans in world history ? Well, the traditional date for the founding of Rome is 753 BC. So Greece, Minoa, the Xia dynasty in China, Stonehenge, the Mayans, and the first Egyptian dynasty, according to 15 year old Wikipedia: https://en.wikipedia.org/wiki/Timeline_of_ancient_history. ;-) But they were advanced, and we owe a great deal to the Romans. Thankyou. I really enjoyed reading this. I didn’t know anything about the ceremonial gateways. Fascinating. Happy New Year (belatedly). Thanks very much, Cathy! You too.